A Democratic congressman is using the first day of his party’s control of the House of Representatives to file an impeachment resolution against current president Donald Trump. Representative Brad Sherman is reintroducing a measure he first brought up in 2017. However, now that the Democrats have control of the House, it is up to them to act on it, not Trump’s Republican allies. 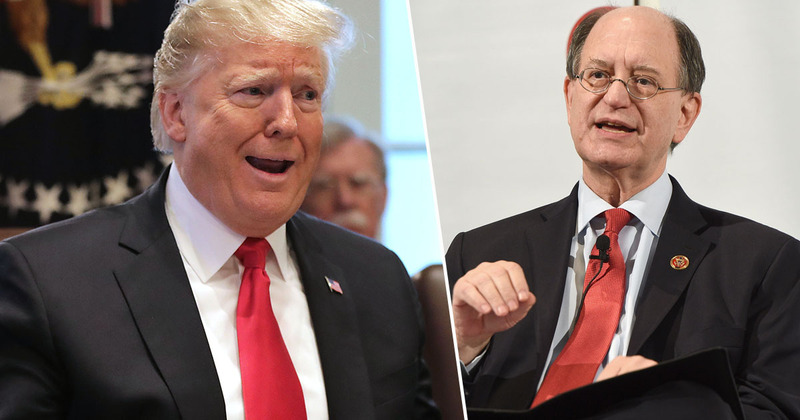 Sherman’s articles of impeachment accuse Trump of obstruction of justice by firing the former FBI director James Comey, as well as other wrongdoings. The impeachment resolution accuses the president of ‘threatening, then terminating’ Comey because he knew the FBI was investigating Trump’s national security advisor Michael Flynn, as well as investigating the Russian state interference in his 2016 presidential campaign. There is no reason it shouldn’t be before the Congress. Every day, Donald Trump shows that leaving the White House would be good for our country. The incoming House Speaker, Nancy Pelosi, has said they will wait for the outcome of a special counsel investigation before acting on Sherman’s resolutions. Pelosi has also reportedly tried to play down talk of impeachment, with some Democrats concerned it would split the party. Republicans would, however, likely attempt to block any attempt if it were to reach the Senate. However, now that the Democrats have the majority in the House of Representatives, it is likely that impeachment will be a more present threat over the next two years of Trump’s presidential term. Sherman added he’s not worried if the resolution – which could be the first of several – would make his colleagues answer some difficult questions. Every member of the House will have to address [the issue] whether there are formal articles of impeachment pending. Last year, when the Democrats took the majority of seats in the House following mid-term elections, senior Democrat Nancy Pelosi said her party would use its new position for the country as a whole, saying Americans have ‘had enough of division’. It was said that, with the Democrats’ success in the mid-terms, the Trump regime would see fresh rivalry and new challenges in the House, especially when it comes to passing legislature. And it seems that some Democrats are wasting no time in challenging Trump as the first opportunity.